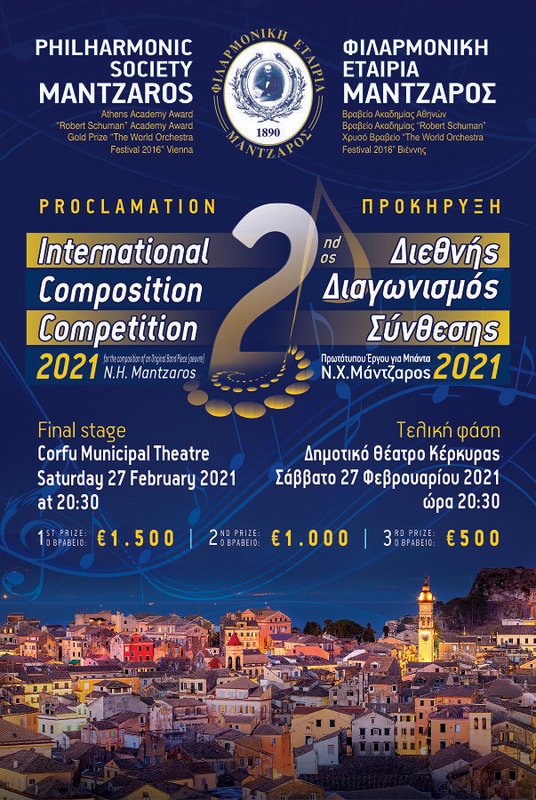 The 1st Panhellenic Competition « NC Mantzaros ” 2014 will be held in Kerkyra ( Corfu Municipal Theatre , N / A Address: 68 George Theotoky & Mantzarou ) in November 2014 and concerning” Composition Project for Band ” . The exact date of the competition will be announced . Can participate composers born after 30 June 1974 ( including this one) . Should be submitted for a project band with duration of not less than six (6 ) minutes and not more than ten (10 ) minutes . The duration should be indicated in the score . More information about the competition the following files .